Live life. Go for hikes. Experience nature. Experience people. Photograph, write, draw, remember. Sit and observe. Walk and observe. Be there to know the place. Weave what you have learned. 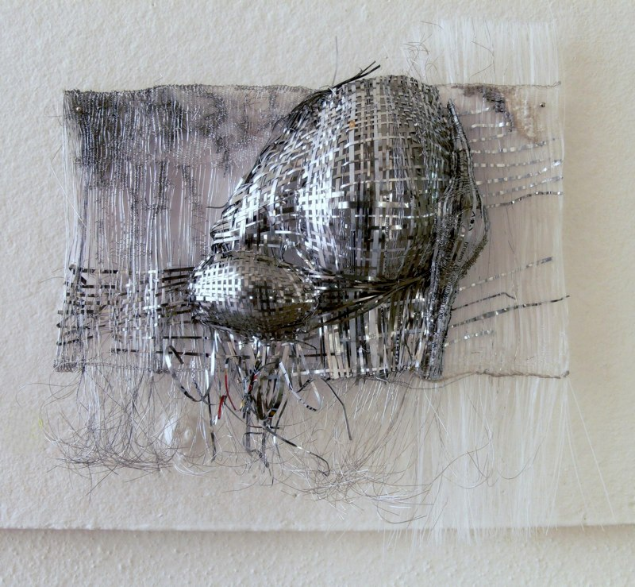 Let the structure and techniques of tapestry be the passage to expressing life experiences. I fill my life with experiences – hiking in our rainforest and mountains, traveling to Mexico, Australia, USA, Europe and with in Canada, experiencing life, people and culture. 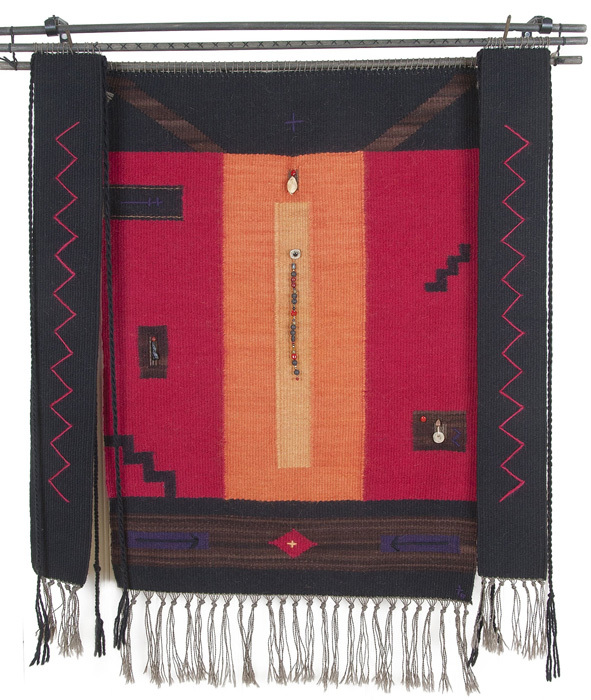 I bring my life experiences, thoughts and culture into my tapestries. 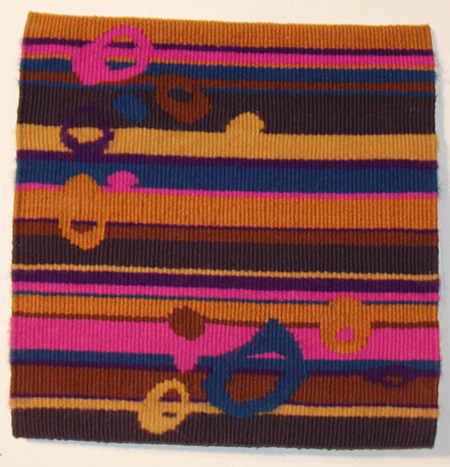 Life expressed in weaving. For “On the Edge,” I photocopied the tapestry and collaged it on to a canvas. I painted the canvas then sewed the tapestry on. Our summers are drier and hotter. Our cedar trees are dying. 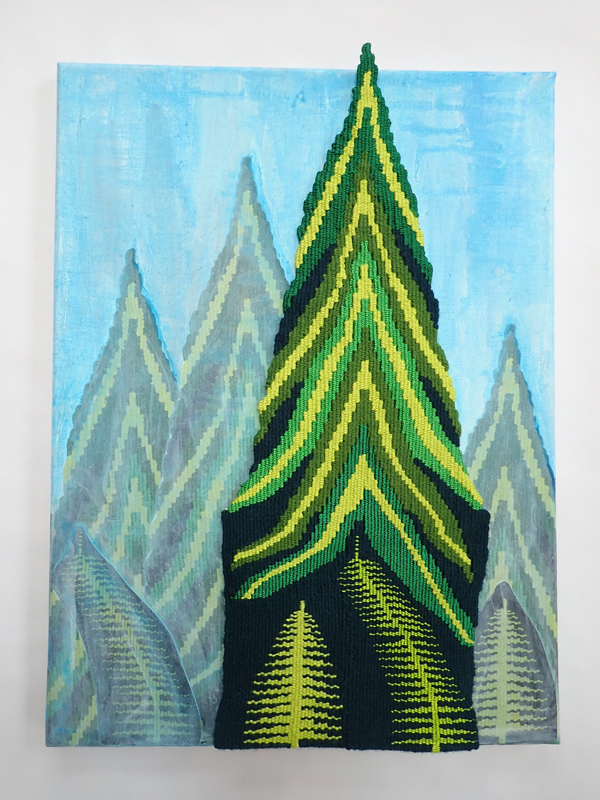 My woven tree is healthy and green. In the summers of smoke, heat and drought, our cedars are dying. We are on the edge. Tide is In, Tide is Out” is about the constantly changing beach as the tide goes in and out. It is about seeing both at the same time. About the constant changes in life as the tide ebbs and flows. . I live ten minutes walk from the beach and will always want to live near the sea. The trees, rocks and estuary are around the beach and part of the daily landscape. I have left out the buildings and changes that humans have made to this beautiful landscape, back to the beauty of the changing tides. 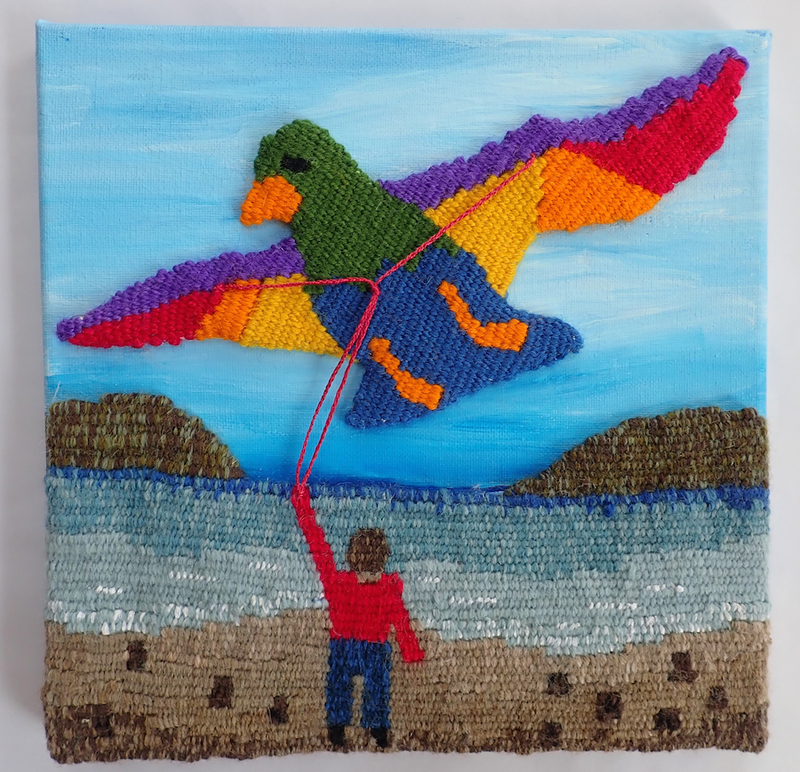 Biggest Little Bird Kite: This tapestry is two shaped tapestries sewn on to a canvas that is painted with acrylic paint. 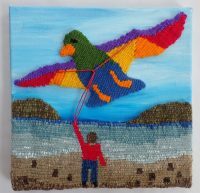 The bird kite is attached to the little boy on the beach by a kite string.The kite is the biggest kite imaginable to the little boy. 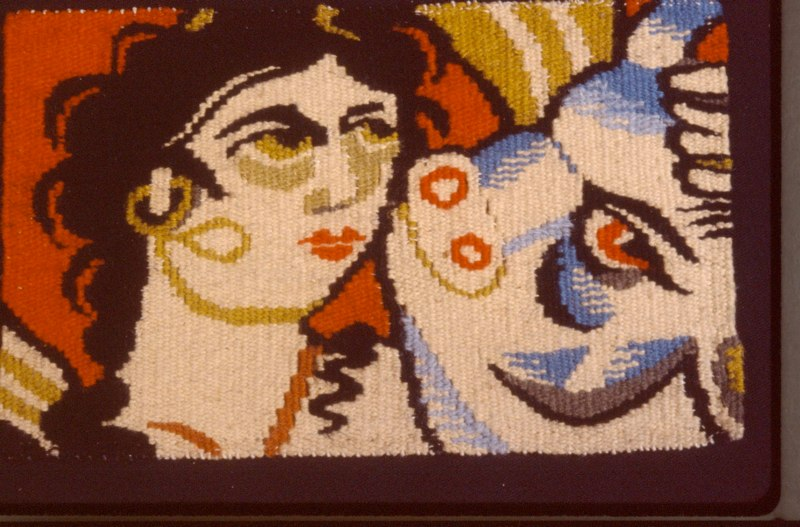 Christine has been weaving since 1977, weaving tapestry since 1998. 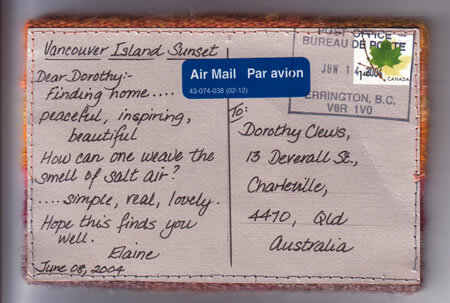 She lives on Vancouver Island, off the west coast of British Columbia, Canada. 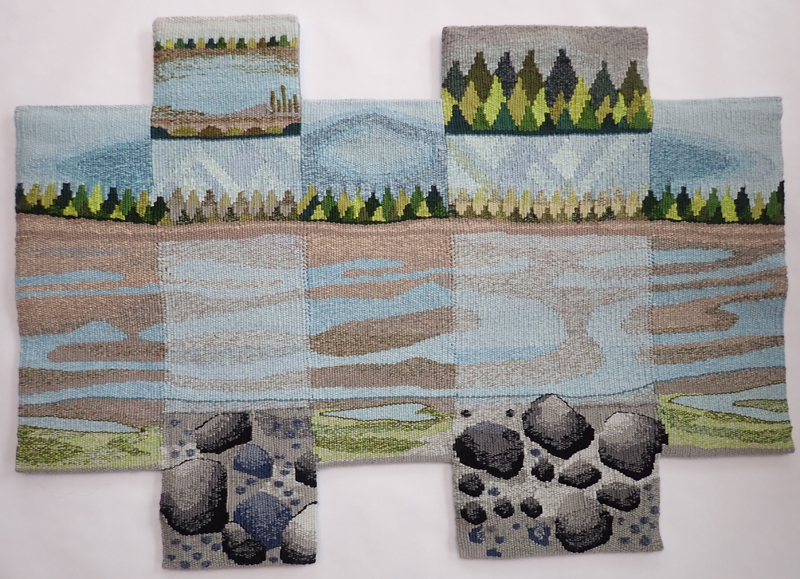 She loves tapestry weaving, beading, running, hiking, climbing, yoga, cycling, swimming and being outdoors. 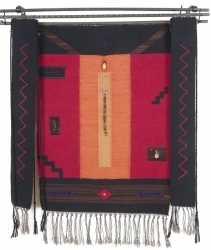 Christine is a Salish weaver, weaving ceremonial regalia in wool and in cedar. 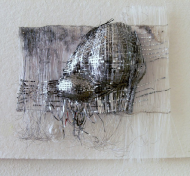 Christine brings her life experiences and culture into her tapestries. 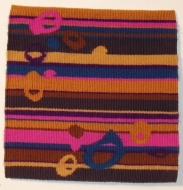 She is a member of the Canadian Tapestry Network, American Tapestry Alliance, and TAPis – Tapestry Weavers of Vancouver Island. 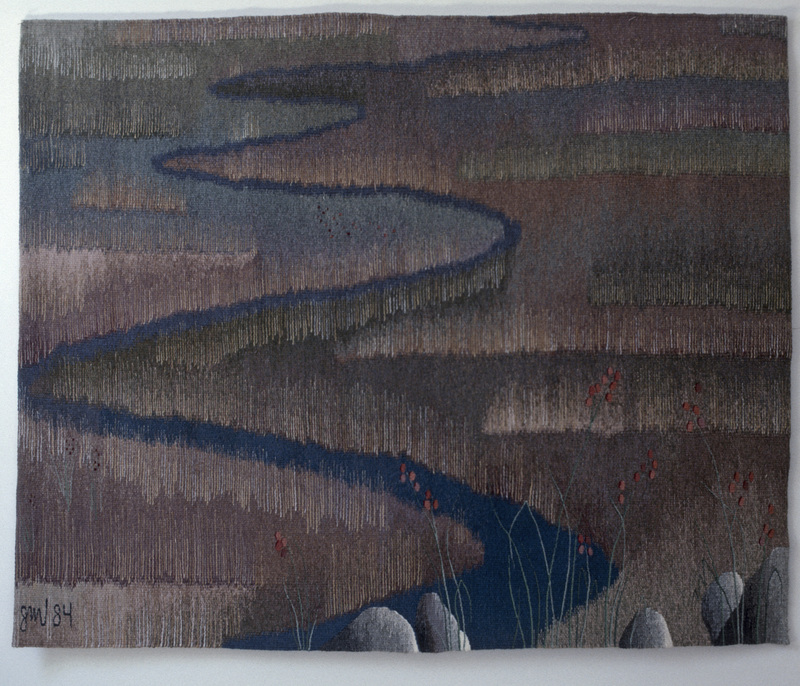 Christine’s tapestries have been shown in Canada, USA, Australia and Mexico.